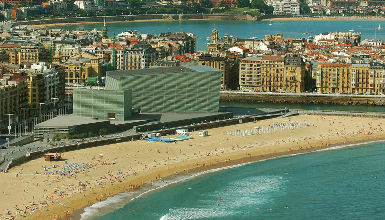 Zurriola Beach is located in the Donostia / San Sebastián's Gros neighbourhood, under the attentive gaze of the Kursaal Auditorium and Congress Centre. In the past, it was a large sandy area situated between the mouth of the river Urumea and Mount Ulía. 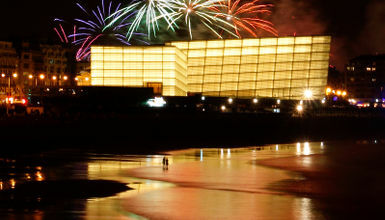 In the 90s a nourishment project resulted in the wonderful beach we can admire nowadays. 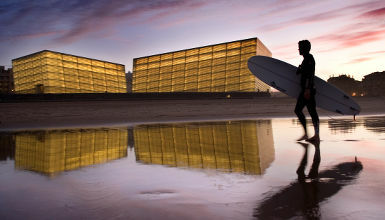 The beach with the greatest surfing atmosphere in Donostia / San Sebastián, with high-quality waves, such as the Monpas right-hander and the central area, with intense right and left-handers. Monpas can generate good tube-riding sections and is the most powerful wave, whereas in the central area there are mainly left-handers at low tide and good rights as the tide comes in. The beach is open to the sea and works at all tides. On this beach there are important surfing events such as the European ASP Projunior contest, held in July. The beach has a local surf club and four surf schools, so it is ideal for complete beginners. Lifeguard service: From 10am to 8pm.